Lenses Facts For Kids | Cool Kid Facts . Transparent – material that allows light passes through unhindered. 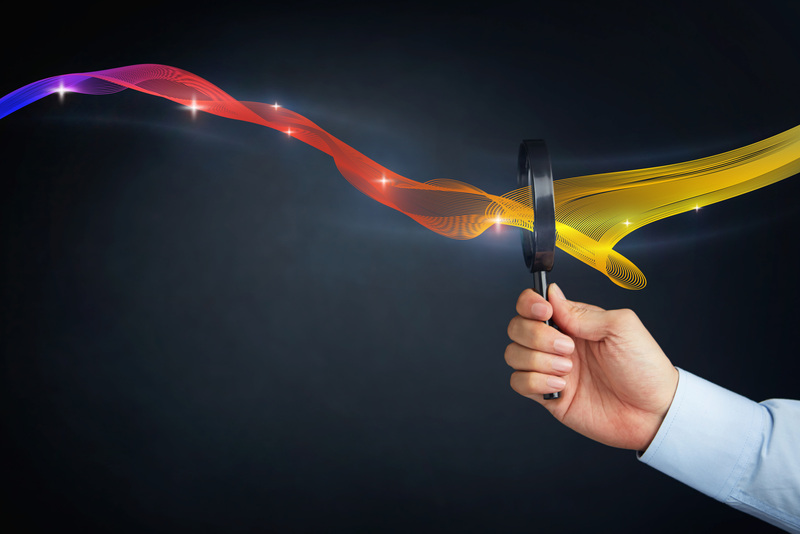 Refraction – bending of light as it passes through glass or some material that is transparent. Focal Point – where the light rays meet as they pass through a lens. Curvature – how a lens surface is curved and not flat. 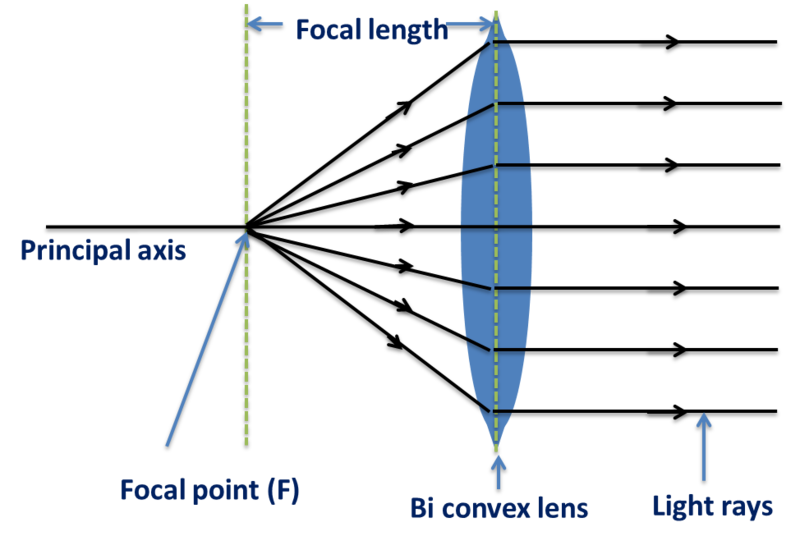 Convex – the curve of the lens bulges out. Concave – the curve of the lens is depressed (falls inward). Lens – a circle of polished glass or any transparent material, most often spherical that can form an image of something in front of it. Plane – the surface has no curvature. Parallel rays – rays of light that are equal distance apart and never meet. In a single lens, either one surface is curved and one is plane, or both surfaces are curved. Light travels through a lens slower than it does in the air. This causes the light beam to bend (refraction) and meet somewhere beyond the lens. Where the light beams meet is called the focal point and the distance from the centre of the lens to the focal point is the focal length. The diagram below shows a single lens made up of two convex surfaces and shows the focal point of the beam of light after it refracts through the lens. Different rays of light are refracted (bent) at different angles as it passes through a lens. Notice that the light ray that passes through the center of the lens does not bend. The rays of light continue in a straight line beyond the focal point to project an image on a screen or photographic paper. The focal length of the lens and the distance between the lens and the object will cause the image to be smaller or larger than the original object. An image can be classified as real (able to be photographed), or virtual (visible only when viewed by looking into the lens). An image formed by a single lens is usually out of focus or blurry and not sharp. So for scientific work, such as astronomy, microscopy, and precise photography, more complicated lenses are used. Sometimes multiple single lenses – some convex and some concave – are used together. What is a single lens? What is bending light called? What is the meaning of convex? Describe an image produced by a single lens. A single lens has one curved surface and one plane surface. Bending light is called refraction. The focal point is where the refracted rays meet and is somewhere beyond the lens. Convex means to curve outward. A single lens usually produces a blurry, out-of-focus image.